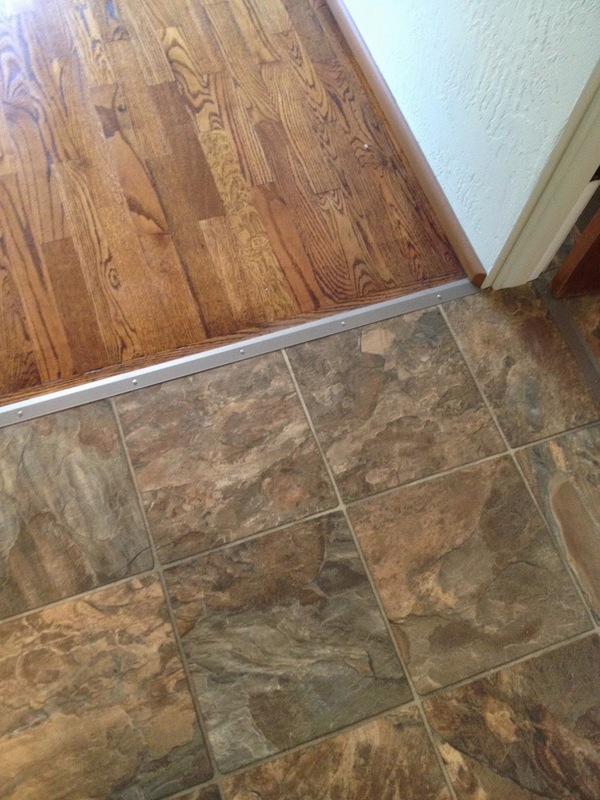 Close-up of flooring in need of an upgrade, in a home that was going to be put on the market. 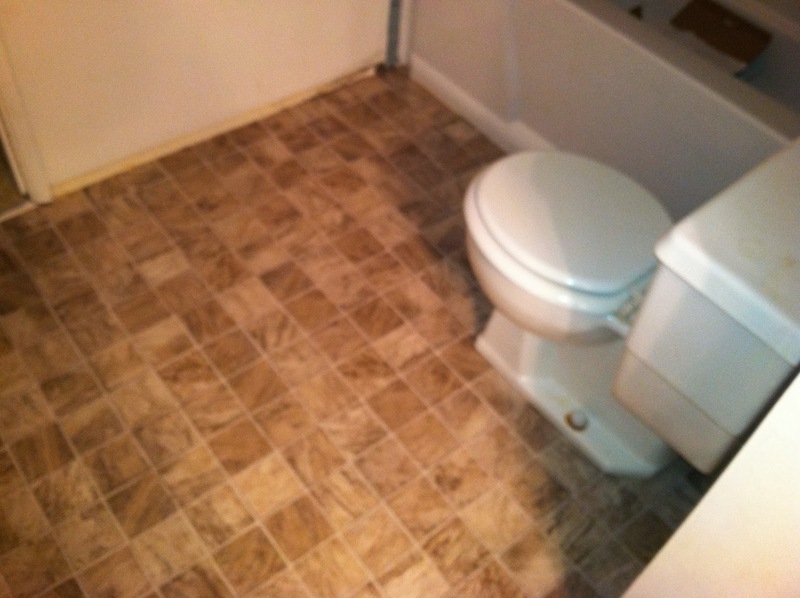 Consider It Done Construction installed new vinyl flooring, a new transition strip between the vinyl and the refinished wood floor, then painted the walls. 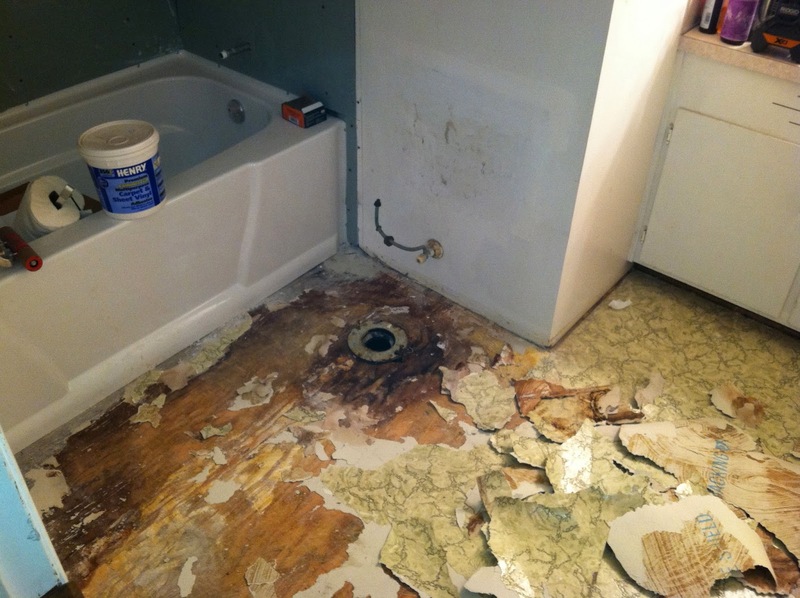 The floor base was removed, lightly sanded, painted, and re-installed. 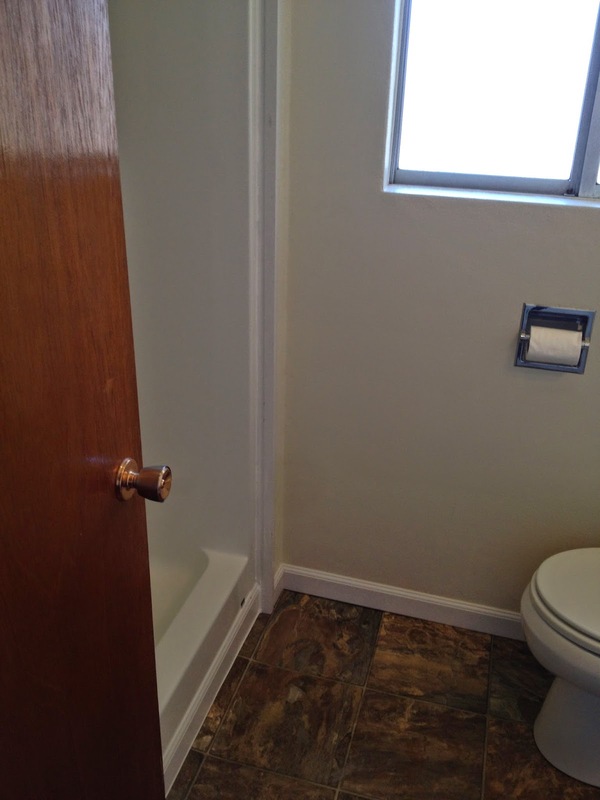 Pre-Sale prep on this home included adding a shower. 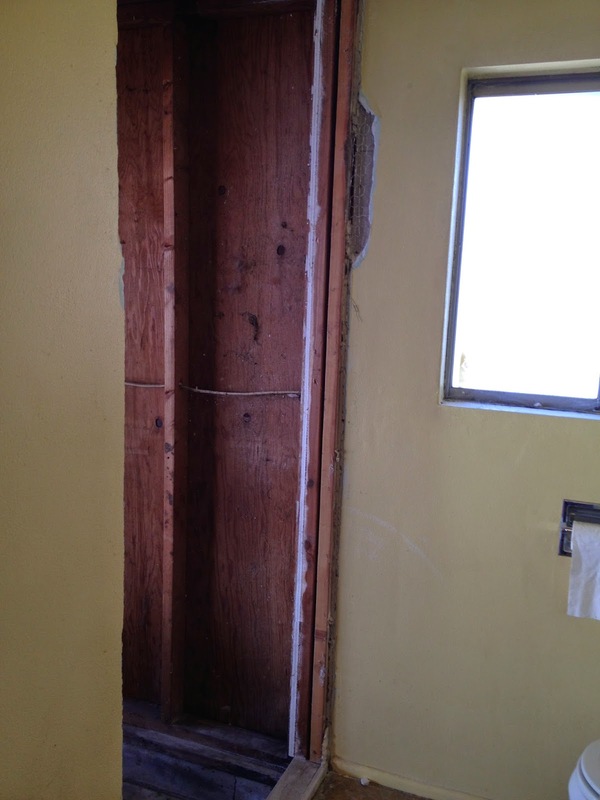 The shower is now in place, waiting for inspections. All done. The paint is still wet in this photo. 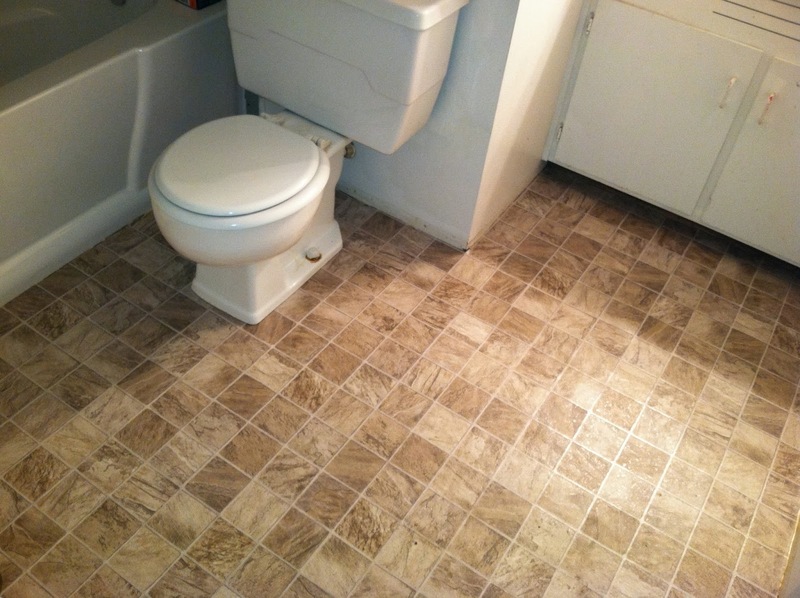 Much improved from the 'before' picture above, right? 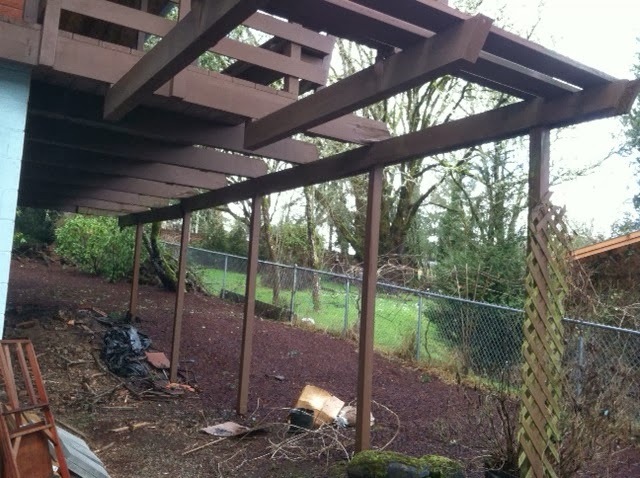 The support beams on this deck were seriously rotted. This was a dangerous situation. 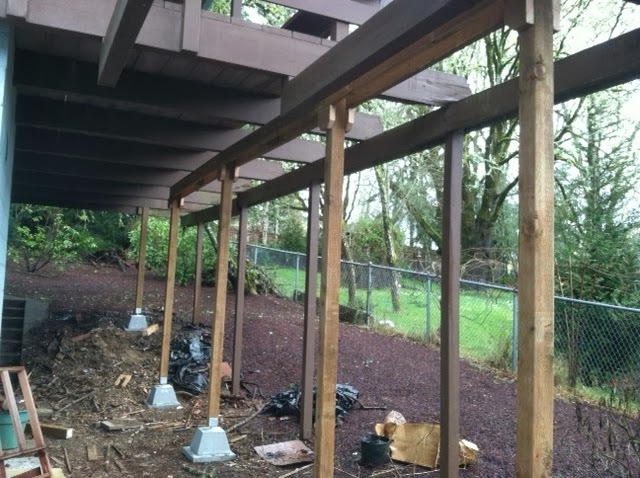 Consider It Done Construction was able to solve the problem by shortening the beams and bringing in the support posts. Check it out! It looks like it has always been in perfect condition. The best part? 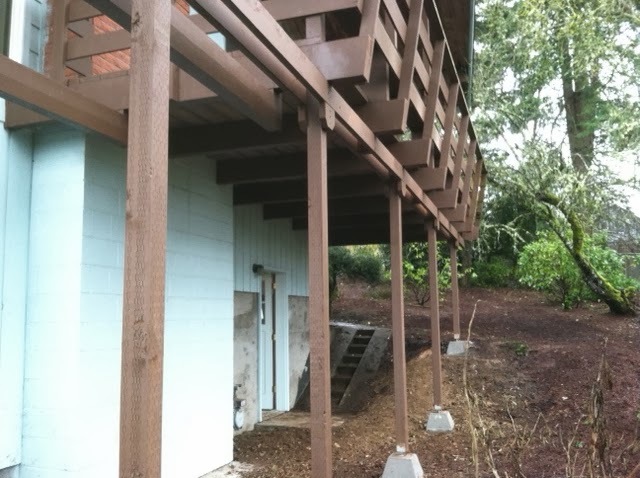 The square footage of the deck above wasn't changed! 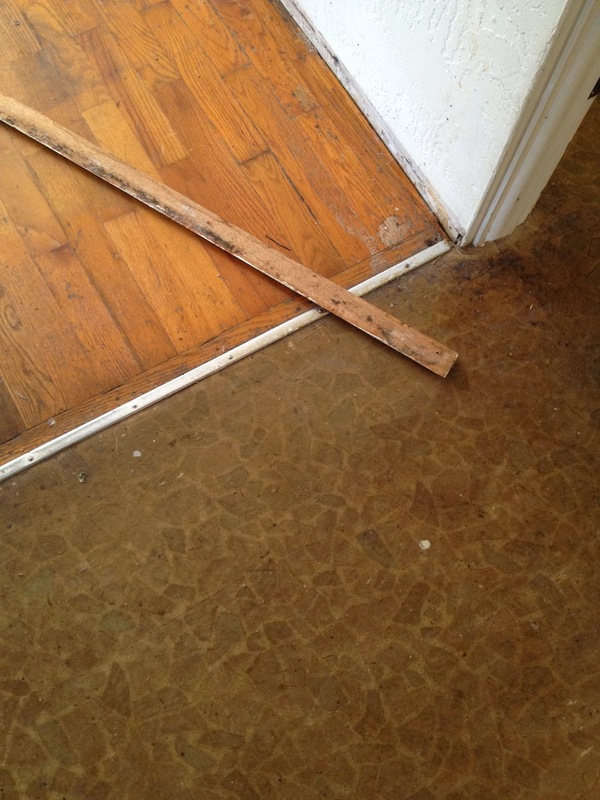 The original flooring was no longer bonded to the floor, and was peeling up. 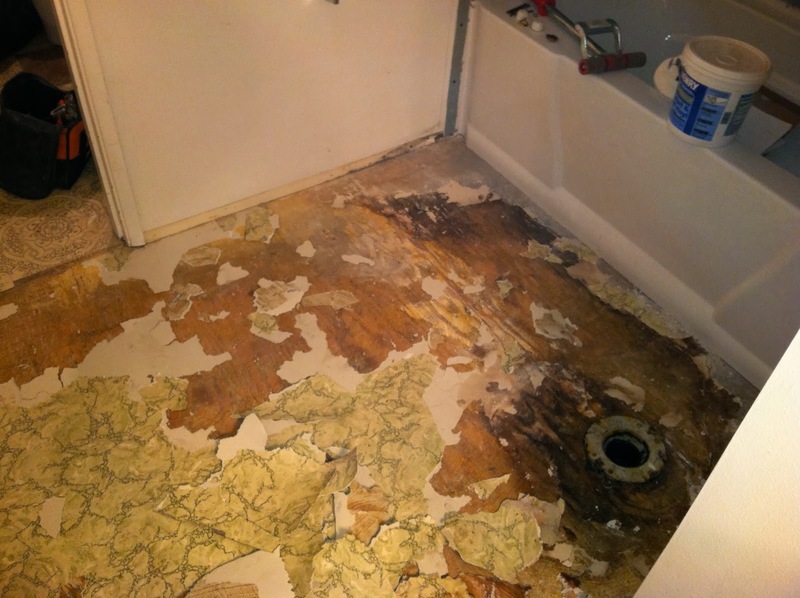 So, we removed the toilet, fixed the dry rot, and replaced the flooring. 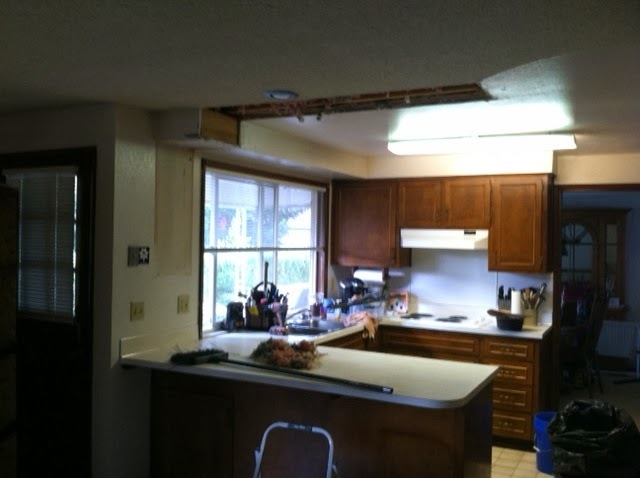 We removed the upper cabinet, which was blocking the view into the family room. Wow, that really opened up the kitchen. 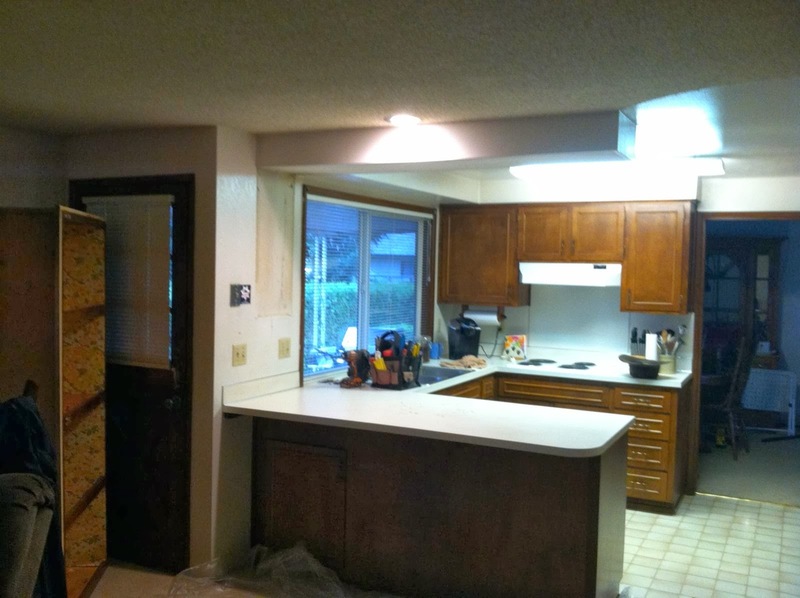 Next, we repaired the ceiling, painted the cabinets, brought in an electrician to update the lighting, and prepped the area for the countertop guys. There's the beauty shot again. Notice: The stove is no longer a cooktop, the vent hood is now a microwave/vent hood combo, and the eat-bar area has been extended. 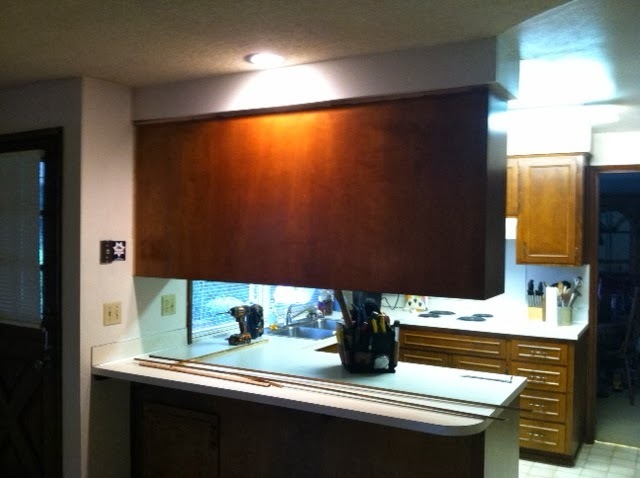 Oh, and that sweet cabinet door modification with glass fronts!